Ever since announcing its 2018 TV line-up, consumers in Europe have been encouraging Samsung to add the full array local dimming (FALD) Q8 model that was available in the US at launch, to the European line-up. As FlatpanelsHD reported exclusively in June, Samsung listened. Q8FN in the US, or Q8DN in Europe, features a scaled-down zone dimming system compared to the flagship Q9FN. It also has the premium One Remote, Ambient Mode, and a streamlined design. Samsung Q8DN is available in 55, 65, and 75-inch sizes. We are reviewing the 65-inch model. At first glance, Samsung Q8 has many similarities to the flagship Q9 that we recently reviewed. 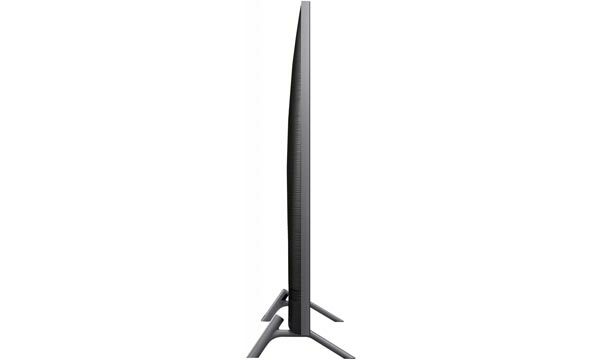 The two TVs share design features including the fluted back and the thin metal profile. It is not often that we get to unbox a factory-new TV as most review samples have been out of the box in order to be checked before they get sent off but Q8 was an exception. 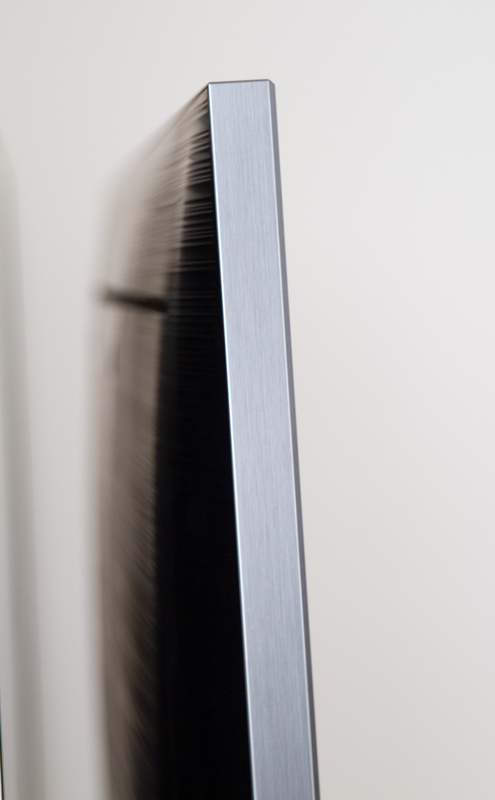 Last year, Samsung started adding protecting foil in front of the screen – like you would see on a brand-new smartphone – to some of its TVs. If you like the feeling of unboxing a brand new phone, imagine the joy of peeling off the foil on a much larger 65-inch TV screen. 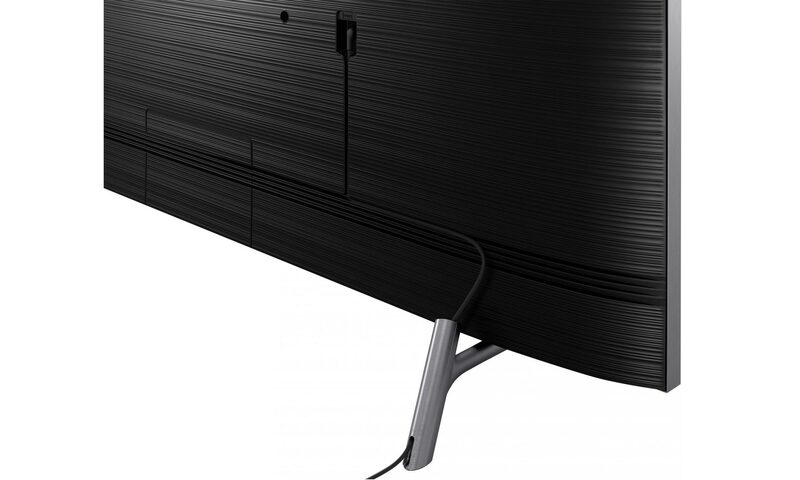 Besides the foil, Samsung has placed foam grab bars on either side to help you lift the TV out of the box. Some very neat details here. Despite the similarities in looks, it immediately becomes apparent, after setting up the TV, that Q8 is the cheaper version of the two. Most importantly, it lacks the external One Connect box that was a defining feature for Q9FN. Instead, Q8 has classic connection port panel on the back. It is not even featuring the smaller and simpler One Connect box that Samsung has used in the past. It strikes us as a strange decision since all other 2018 Samsung Q models come equipped with the One Connect box and a fiber cable. All ports face in the right direction but the power connector and other ports, respectively, sit on opposite sides. Cable management has not been as elegantly integrated as on Q9 but this is not unique to Samsung. Most TV manufacturers elect to separate the power supply from input and output ports. It is possible to hide the power cable inside one of the indentations on the back of the TV and route it to the other cables, which allows for a cleaner installation. Ports are lowered into the cabinet so they will be hard to reach once the TV hangs on a wall. Another area where Q8 and Q9 differ is the wall bracket solution. Q9 supports Samsung’s "no-gap" bracket that hangs flush to the wall, whereas Q8 offers standard VESA wall bracket support. It also requires spacers on the back to ensure that the slightly curved back fits onto a flat wall and bracket solution. The stand looks different, too. Q8 has a two-legged feet design rather than the more – in my opinion – clumsy stand that supports Q9. I found this particular element of Q8 to be an upgrade in terms of aesthetics and the way that each leg snaps onto the TV by force of magnetism is cool. This sense of detail is not often found on mass-produced TVs. It is a small thing but it leaves the buyer with a good first impression. 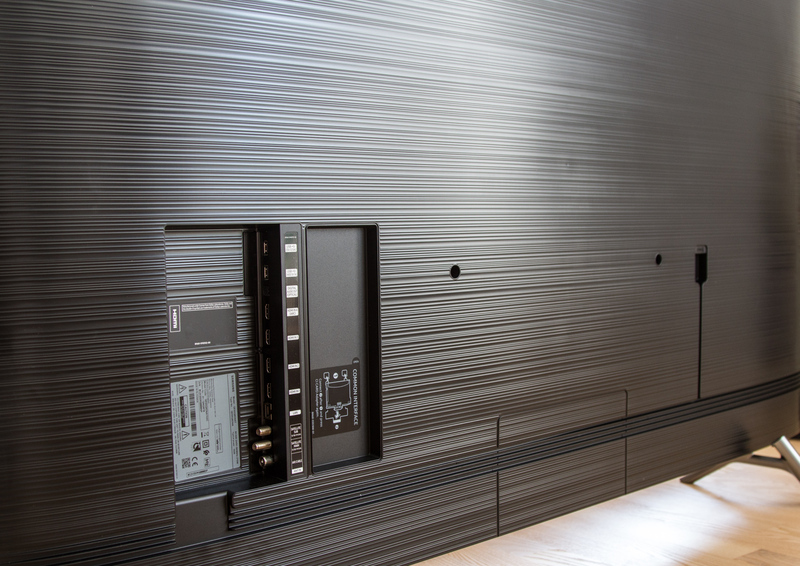 The feet are wide enough apart to provide a stable underpinning and will furthermore allow you to place a soundbar in-between (including Sonos Playbar). The LCD panel has the same glossy coating found on Q9. It serves to maintain contrast in a brightly lit environment while at the same time reducing reflections. You can easily use Q8 in a bright living room. Lastly, Q8 comes with Samsung’s premium remote control that we have already praised – more on that in a minute. Samsung is still betting on its in-house Tizen operating system that powers everything from TVs and connected home devices to refrigerators and cameras. Since Q8 is a 2018-generation model it is identical to Q9 in this area. When reviewing Q9FN, we opted to use the refreshed SmartThings app to set up the TV. This time around, we took the more traditional approach and used the remote control and luckily Samsung has managed to make it a very streamlined process that only took a few minutes to complete. One great is detail is how the TV scans and loads in TV channels in the background while letting the user continue the installation steps. Of course, Tizen in Q8 looks identical to Tizen in Q9. It is equally fast (and sometimes slow) to navigate. 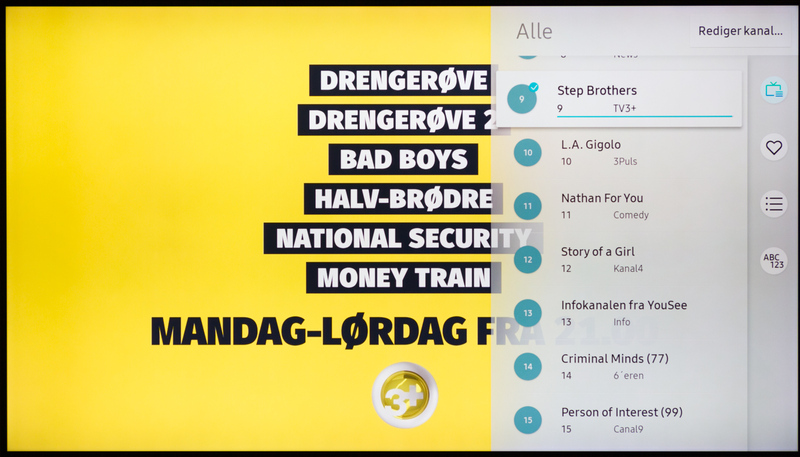 In some instances, it takes too many button presses to navigate the bottom menu that Tizen centers on. I found this to be the case whenever I wanted to access the input list, menu settings or PIP (Picture-in-Picture). I miss more flexibility and Samsung should give users control over what goes where in the bottom menu rather than insisting on locking some icons to the leftmost positions. Still, Tizen is one step ahead of other operating systems in Smart TVs, mainly in terms of ease of use. Q8 offers the same ’Ambient’ mode that we found in Q9. There are no refinements and it lacks most of the features found in Samsung’s The Frame, which is a shame. 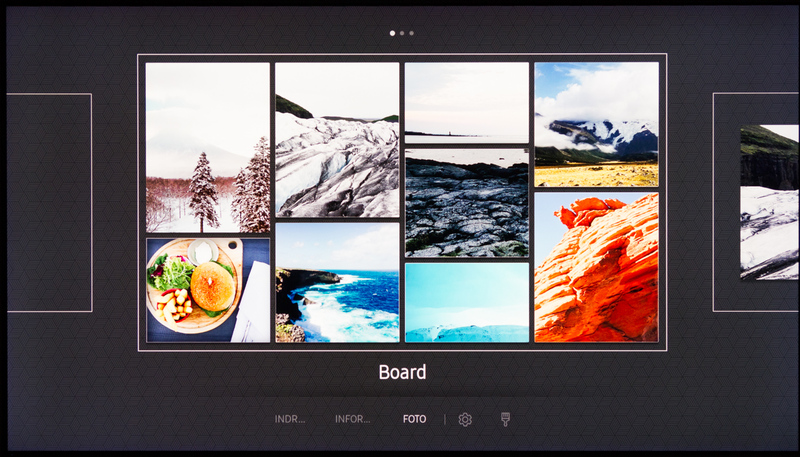 As an example, Ambient mode lacks something as simple as letting the user define the digital frame around the screensaver, and after having reviewed The Frame with its more comprehensive suite of digital art features, Ambient mode feels too limited. Samsung has confirmed to FlatpanelsHD that Tizen will not receive software updates so what you see is what you get, despite continuous development of Tizen. New features and fixes remain exclusive to the latest models. Unfortunately, several leading TV manufacturers still refuse to update their TV platforms. Rather than repeating ourselves we refer to our previously published reviews of Q9F (2017) and The Frame (2017) for a more in-depth look at the Tizen platform, user interface, features etc. With the exception of the button dedicated to the Ambient mode, Samsung’s One Remote looks identical to last year’s version. It is a unibody metal remote that has good weight to it. It connects to the TV via Bluetooth and is comfortable to press and hold. Paired with Samsung’s universal remote feature that automatically recognizes many of the external devices connected to the TV, this is a great solution. As you can see, Samsung’s remote control has very few buttons but you can access additional controls by long-pressing the buttons. The program button lets you switch channel and access the TV guide (EPG) but if you prefer having numbered channel buttons directly on the remote, you are out of luck. 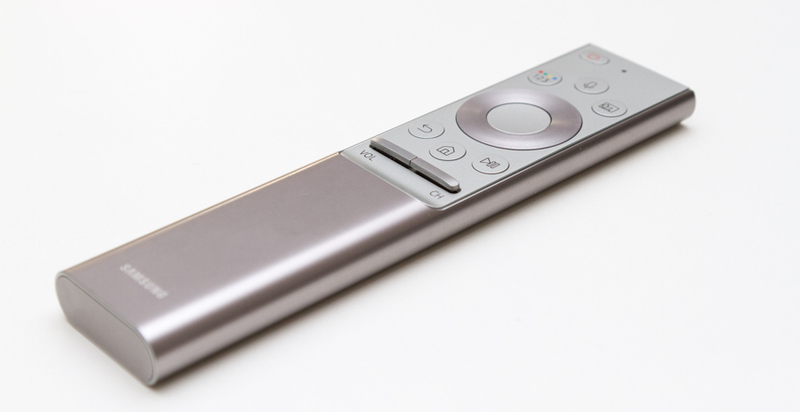 We still believe that Samsung’s premium remote control is one of the best solutions for controlling a modern TV. 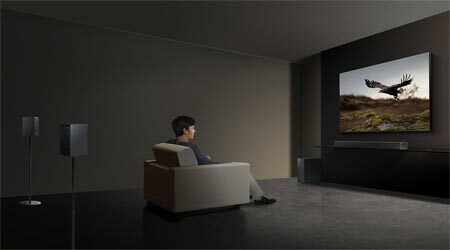 In this regard, the contrast between a high-end Samsung TV and a high-end Panasonic or Sony TV is stark. 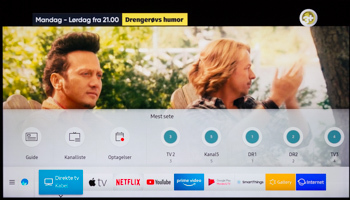 While broadcast TV – or flow TV – is decreasing in use, some viewers still prefer the old ways, and we continue to include an evaluation of a TV’s tuner functionality in our reviews. As mentioned, Q8 has a simplified remote control that lacks numbered buttons for TV channels. Nevertheless, Samsung Q8 still offers a good user experience. The TV guide loads almost instantly and is easy to navigate. The TV switches channel quicker than the average TV. A short or long press on the channel "rocker" activates either the TV Guide or program list while program information can be called by pressing the OK button that also had multiple functions based on short and long presses. 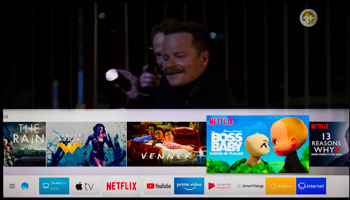 Samsung’s picture-in-picture function must be activated from the settings menu that is hidden well. The small window can be placed wherever you please. 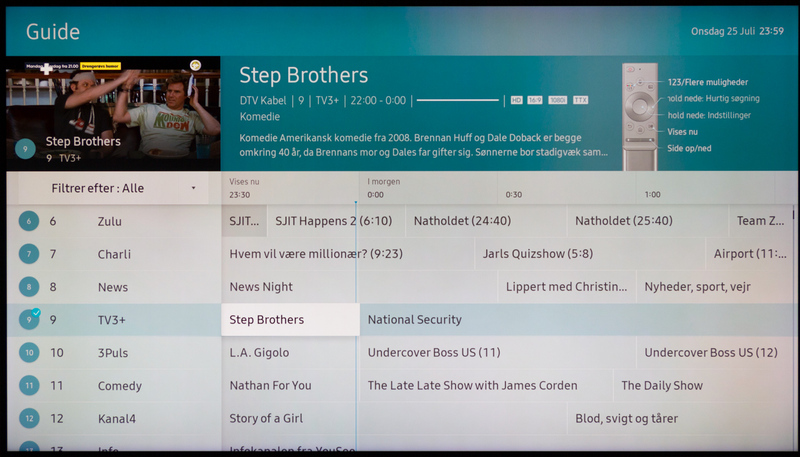 This feature is still limited by the TV having only one CI slot meaning that it can decrypt only one channel at a time. The same is true for its recording function – like most other TVs. Nevertheless, Samsung’s PiP function ranks amongst the best – but not most feature-packed – that we have seen. The built-in speakers are nothing to write home about and we would characterize them as average. You get more punch for your money with LG’s E series or Sony’s ‘Acoustic Surface’ system, and I would personally opt for an external sound solution, if I owned Q8. 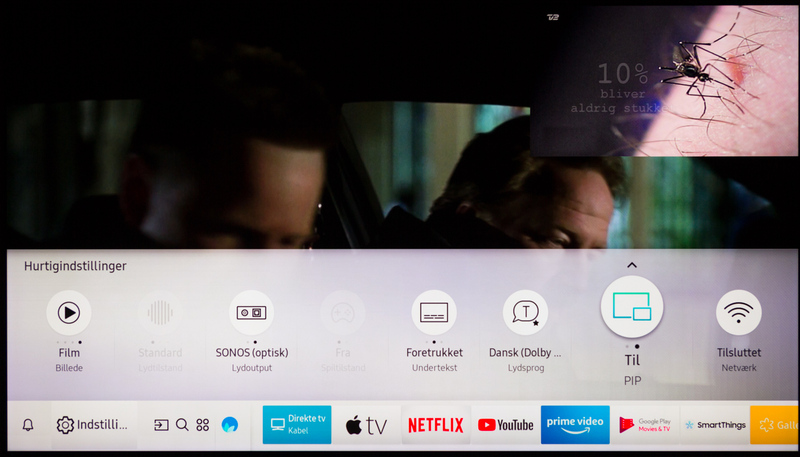 During most of our review, we had the Sonos Playbar connected to the TV and we found that Q8 automatically recognized it as the Playbar and configured the One Remote to adjust audio volume, despite the Playbar having been pre-configured to a different TV. As mentioned earlier, Q8 has a two-legged stand that allows you to put a soundbar in between. Samsung offers a suite of calibration features, including 20-point adjustment and CMS (Color Management System). It also supports auto-calibration if you have the right tools, meaning CalMAN software, a supported sensor, a supported signal generator, and a RS232 interface. The CalMAN software has been updated to support Samsung’s 2018 models but we were missing the cable so we were unable to examine auto-calibration. The ’Standard’, ‘Dynamic’ and ’Natural’ picture modes should be avoided since they force the TV to output HDR peak luminance (almost 2000 nits for Dynamic mode) even when watching traditional SDR video. These pictures models also force SDR video into a much too wide color space. We used ‘Movie’ mode as the basis for our calibration as it hits much closer to the mark. It was not even necessary to take advantage of 20-point adjustment to reach dE values below 1, and we should emphasize that Q8 is easier to calibrate than Q9, which may be explained by the lower number of LED dimming zones that dynamically adjust picture parameters in accordance to content on-screen. For our calibration, we aimed for gamma 2.2, whereas Samsung had aimed for BT.1886 that is closer to gamma 2.4, and therefore somewhat darker. To make this a fair evaluation of the TV’s “before" results, we measured the out-of-box settings up against BT.1886 and not gamma 2.2. Q8 can become very bright so it can be set up to fit almost any type of environment. As you can see below, the measurements for SDR return a high brightness level as I decided to set up Q8 to be used during the extraordinarily sunny days that Northern Europe has experienced this summer. If you want to fine-tune colors further you must take advantage of the CMS. Like Q9, Q8 unfortunately fails to accurately track the EOTF luminance curve for HDR video. It is too bright compared to the reference. This means that HDR video will look somewhat too bright especially in the mid-tones and highlights. 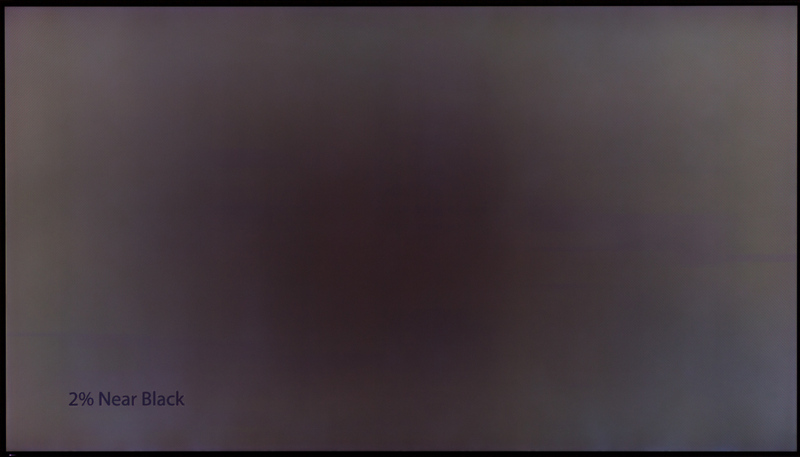 It also rolls off too early when approaching its peak brightness capability, which is unintended behavior. The other picture modes were incapable of maintaining peak brightness long enough to take meaningful and continuous measurements throughout the light curve. The LED backlight dimmed after approximately 5 seconds by a factor 3 or so. The graph to the right illustrates this effect. We therefore had to jump through a few hoops in order to take measurements in the various HDR profiles, but this will also affect how peak and near-peak brightness is handled during actual HDR viewing. Initially, Samsung had planned to launch this full array local dimming (FALD) version of Q8 in the US only but it the company later changed its stance and introduced it in Europe, too. The decision means that Samsung will actually offer three versions of Q8 in Europe: 1. The Q8DN with FALD that we are reviewing, 2. 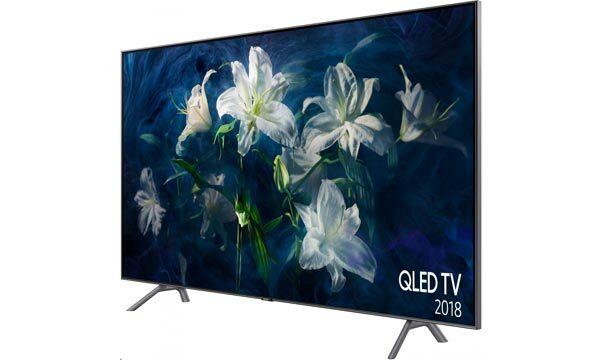 The Q8FN, which is a flat edge-lit LCD TV, and 3. 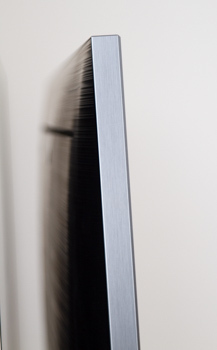 The Q8CN, which is a curved edge-lit LCD TV. We should emphasize that this review applies only to the FALD version of Q8, which is (confusingly) named Q8FN in the US and Q8DN in Europe. The FALD version of Samsung Q8 can be considered a direct competitor to Sony’s much-acclaimed X900F (XF90 in Europe) that employs a similar LCD panel. 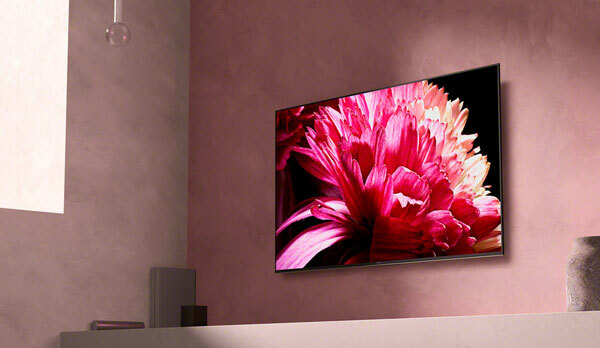 Samsung’s Q8 has 5x8 dimming zones, meaning that it can increase/decrease its backlight locally in 40 zones across the LCD panel, which is in the same ballpark as Sony X900F that employs 60 zones. 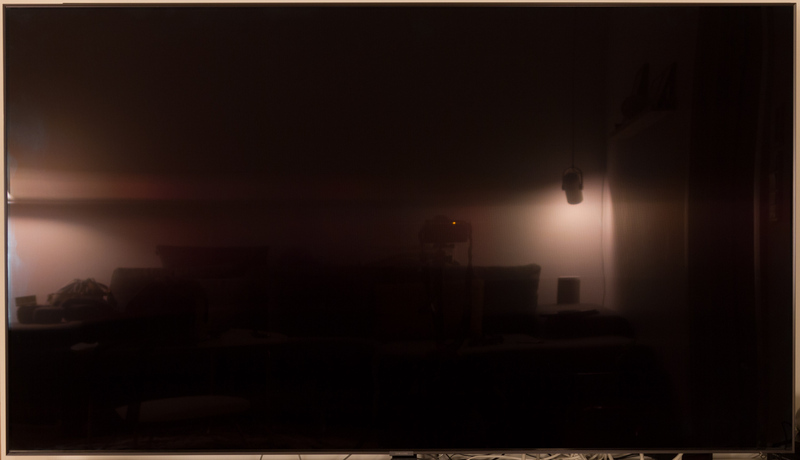 In order to have an LCD TV reproduce decent HDR video, it is crucial that it has some form of individual zone dimming control because HDR video demands a much wider dynamic range (contrast) than the actual LCD panel is capable of. With 40 zones, Q8 has significantly fewer than the flagship Q9FN, which ticked in at 480. 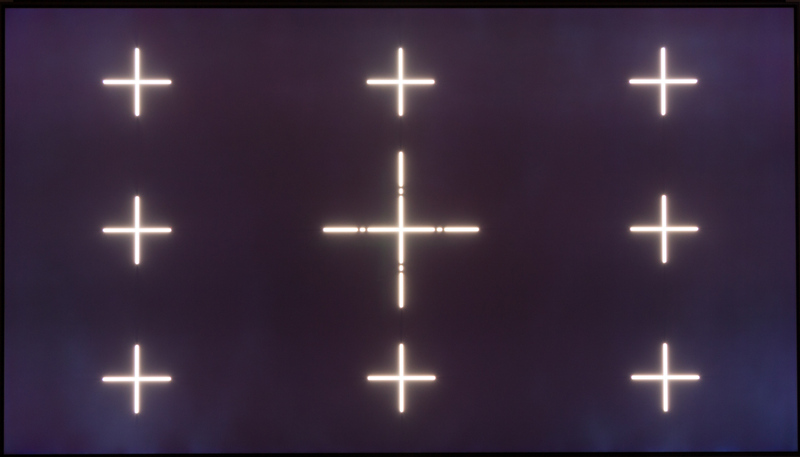 In practice this means that each zone is bigger, each covering more pixels, and that backlight control is less local. The difference between 40 or 60 zones (compared to Sony’s TV) is not crucial and you are unlikely to see much difference here. However, compared to Q9FN you will notice how backlight control is cruder. We want to focus initially on HDR picture quality because this is where control of the individual dimming zones is most crucial, especially in situations with white text on a dark background or in scenes where very bright elements make up only part of the overall picture. Situations like these reveal why "more is better" and it is apparent that bright objects are often surrounded by splotches of light – or halos. Bright objects often appear slightly washed out, which is caused by the LCD panel’s behavior. The LCD panel has a native and natural limit for how much light, from the backlight unit, it can block, so the higher the brightness goes, the more light will slip through. This means that whenever the TV boosts its brightness to 1500 nits (or even 2100 nits as in Dynamic mode), black levels worsen quite considerably and visibly. 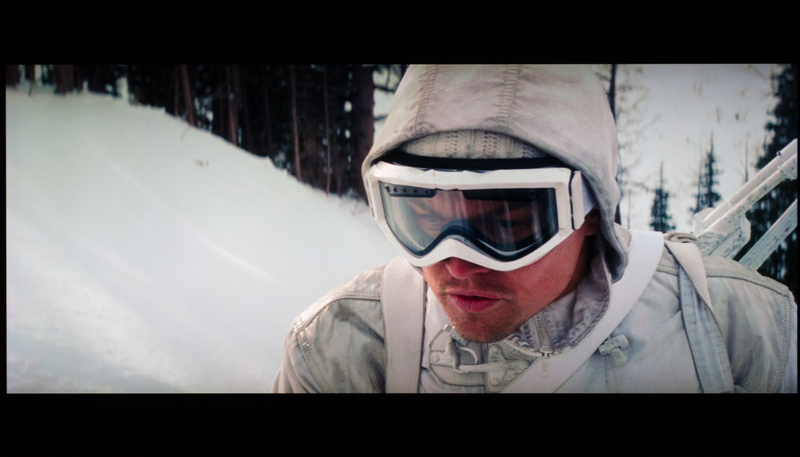 You will start seeing unintentional washed out colors around bright highlights in movie scenes for the same reason. 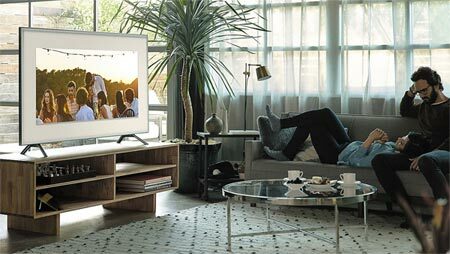 This is not unique to Samsung – all LCD TVs that we have reviewed to date have suffered from this limitation to some extent – but it something that you will notice when watching HDR video. The problem gets elevated when moving off-axis and this is perhaps one of the main issues with HDR video on an LCD TV today. 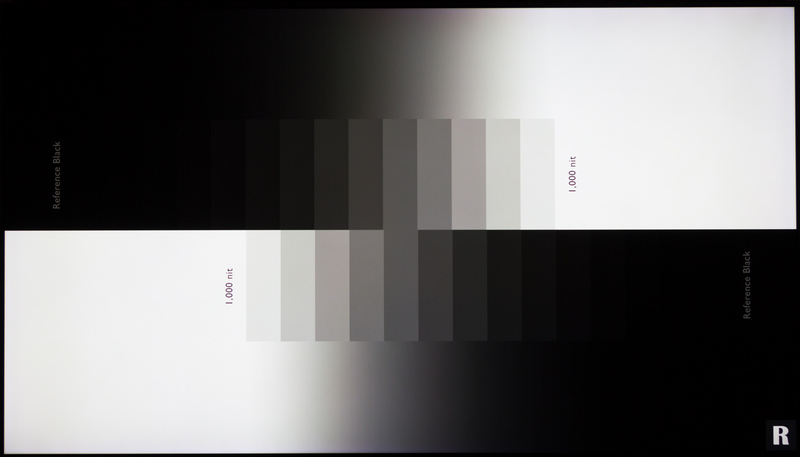 Of course, it gets harder to perceive nuances in black as brightness goes up due to how your eyes react dynamically to light – like when you stare into a flashlight – but washed out black is one thing, washed out colors around dimming zone is another. Samsung Q8 more or less hits the same peak brightness levels as the flagship Q9FN, which is a fair amount. 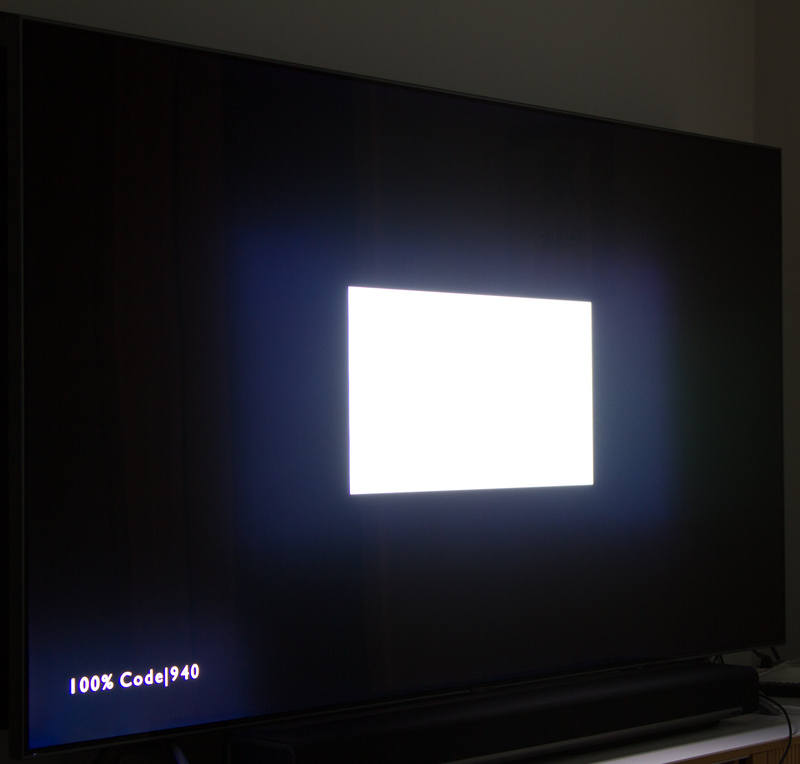 The TV’s ‘Dynamic’ picture mode (that I very strongly advice against using) hits brightness level of up to 2100 nits in both HDR and SDR mode. This is very bright for a typical living room setting. 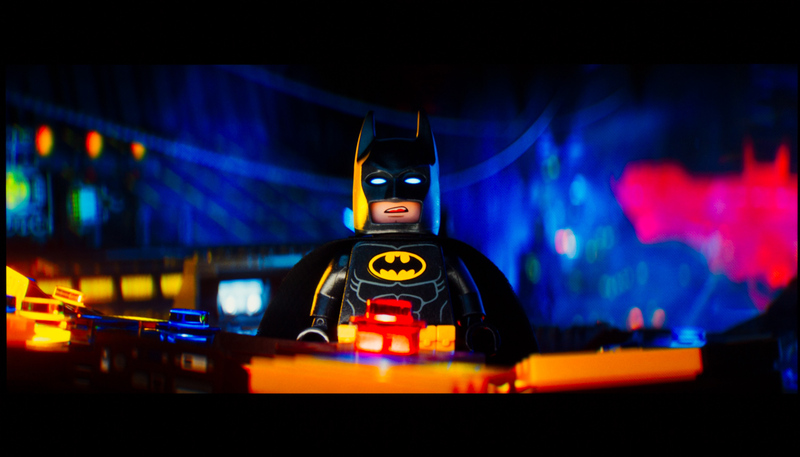 The ‘Movie’ mode peaks around 1500 nits, which is still significant but more kind to the eyes. I am not entirely convinced that TV manufacturers should pursue 4000 or 10000 nits for viewing in a dimmed living room environment, at least not when backlight control is limited. I find that 2000 nits is already very bright to the eyes. Some movies are already being mastered to 4000 nits whereas others are mastered to 1000 nits maximum. Zone and backlight control suffers from a slight delay in response, which we have captured on video below. We have filmed it from off-axis in order to better illustrate the effect. 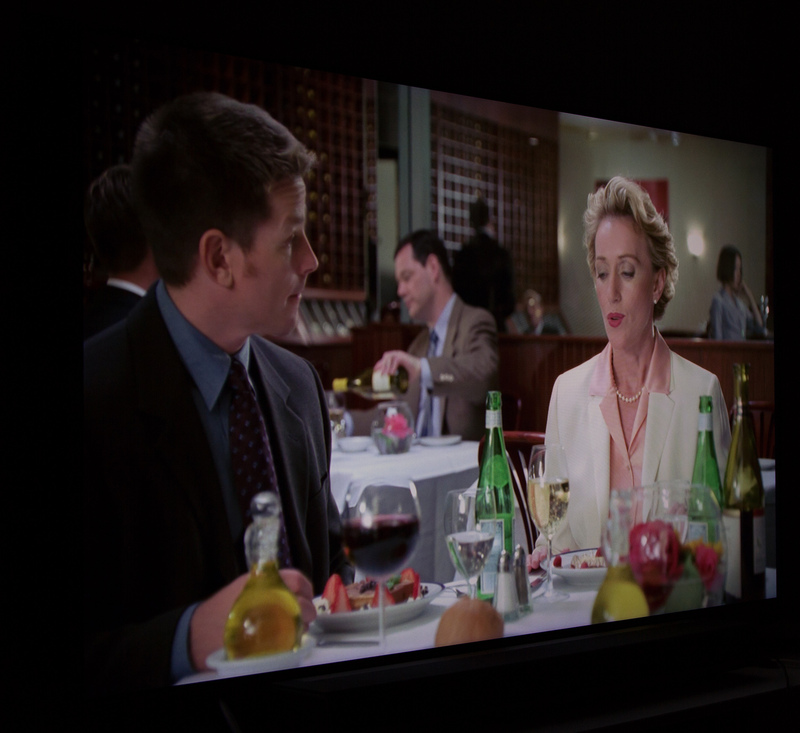 In actual use while watching HDR video, this means that sudden brightness changes or changes in scene while watching a movie tend to "fade in" and “fade out” rather than being a sudden effect, as intended. This can be distracting but it depends on the type of scene and content. 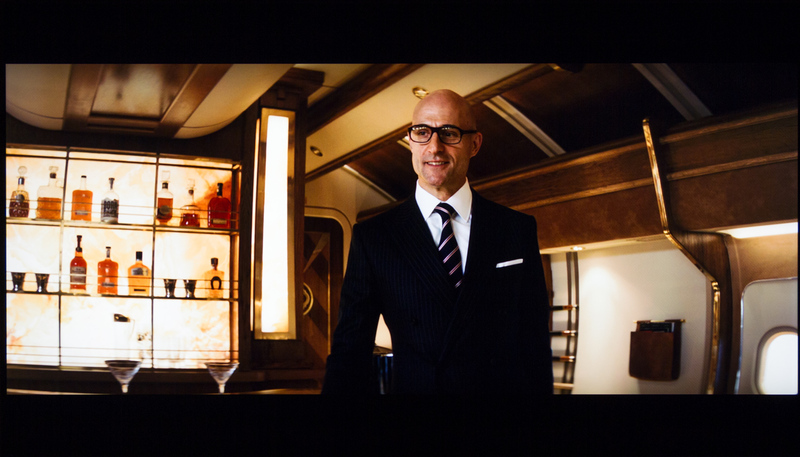 Some viewers may not notice it unless they are familiar with the scene/movie beforehand. This is probably a compromise that Samsung has been forced take in order to control the backlight. On the other hand our Q8 sample did not suffer from the pulsating light issue that we observed on the flagship Samsung Q9FN, so it may have been fixed in the meantime. 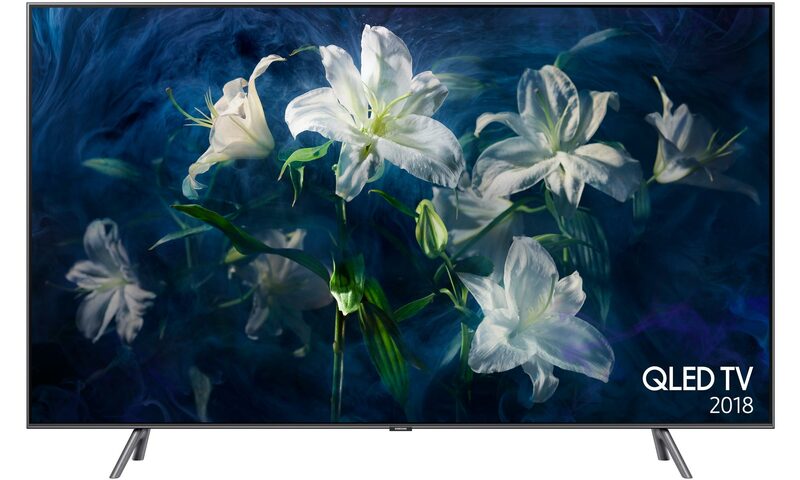 That was a long talk about backlight control but for this type of TV, it is one of the crucial factors that truly differentiates it from other HDR-capable LCD TVs on the market. Samsung Q8 performs well when it comes to SDR (Standard Dynamic Range) video, meaning everything that is not HDR. Based on our measurements, it delivers relatively accurate colors and an overall good picture balance. 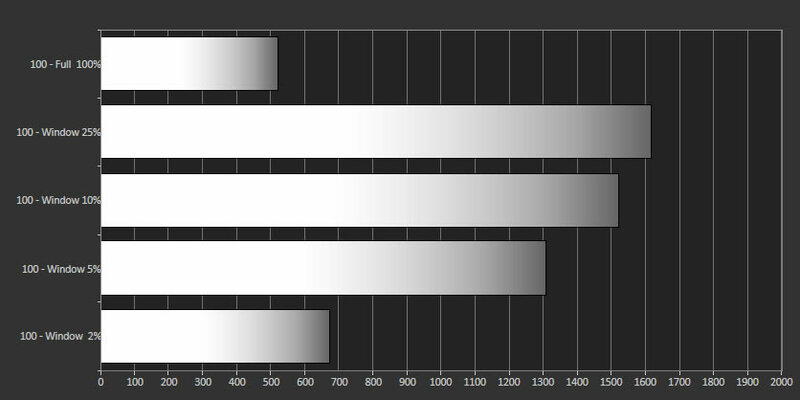 HDR on the other hand fails to track the EOTF curve, just like Q9FN. This may be a deliberate choice from Samsung or it may be related to how its dynamic backlight control but it now appears to be a general issue with Samsung’s TVs. It is something that the company has to address by ensuring a more accurate factory-calibration for HDR. To expand a little on the TV’s SDR performance, we can once again conclude that it delivers exemplary results when it comes to standard TV signals and movie playback. It handles everything from DVD to sports well. It also handles resolution scaling well and even low-quality TV signals look decent. 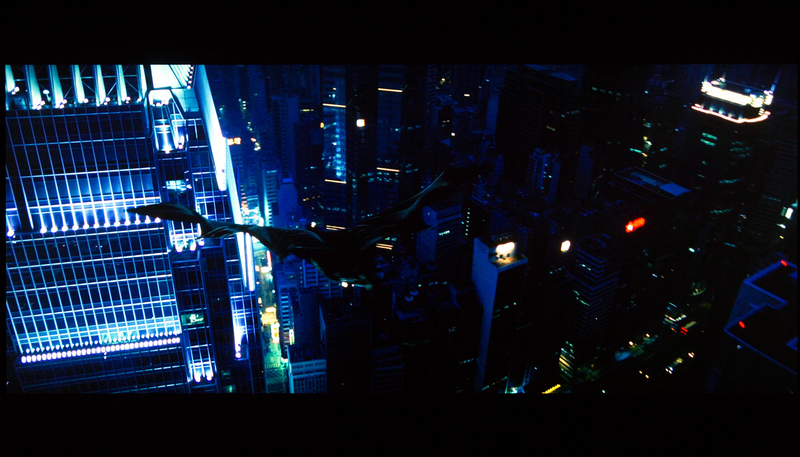 It took only modest tweaks to hit a good color balance for SDR, so even without calibration this TV should deliver satisfactory results in its ‘Movie’ picture mode. We did spot some minor banding during both SDR and HDR viewing but it was rare. It mostly occurs in scenes with smooth gradients such as a blue sky. Very few TVs manage to deliver a completely banding-free viewing experience. For SDR video, you may consider changing the dynamic backlight setting to "Low" since SDR video has a more limited dynamic range and since Q8 is still capable of delivering decent black levels on the "low" setting. At the same time, this setting will reduce the number of artefacts introduced by Q8’s backlight control mechanism. 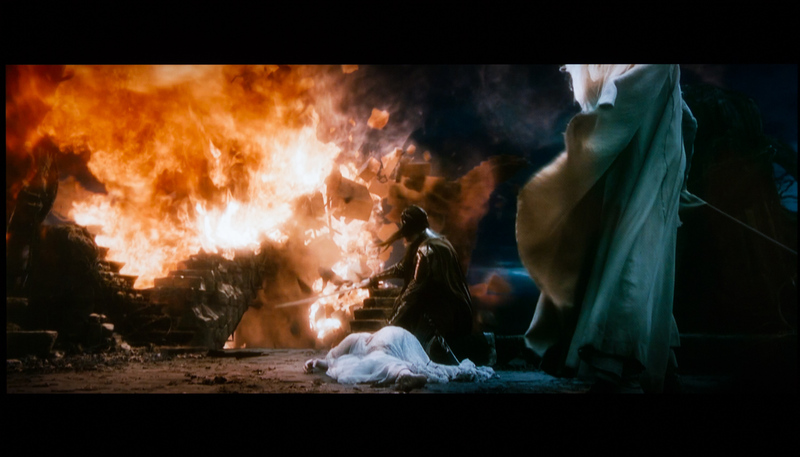 The dimming zone structure lines up relatively well with the black bars in 2:35:1 movies so they tend to look fairly clean and black, unless you have subtitles enabled, which will make them light up. Again, this effect is most evident in HDR. Like other Samsung TVs, Q8 lacks support for the Dolby Vision HDR format. Samsung and Panasonic have instead decided to put their weight behind the open HDR10+ standard. Currently, only Amazon is delivering content in HDR10+ but the built-in app has no indication of whether a show is actually HDR10+ or simply HDR10, so from the consumer’s perspective it is impossible to know whether you are actually enjoying HDR10+ video or not. The Samsung TV’s information bar is not helpful in this regard either. 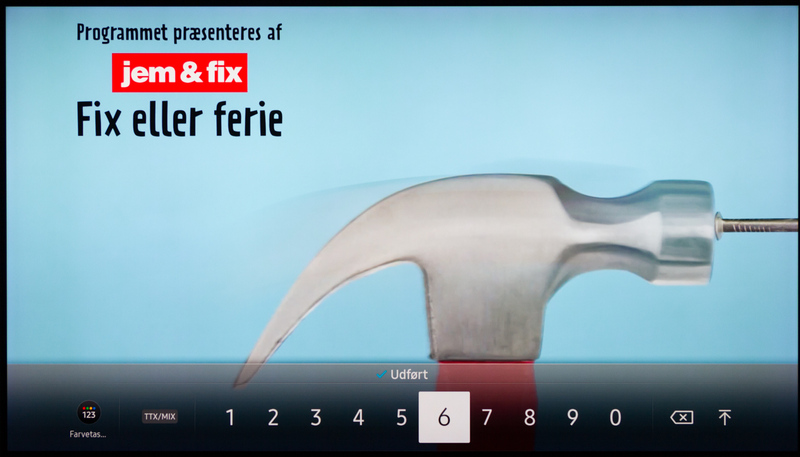 Switching our attention to motion, the TV still suffers from random stutter. For years, we have pointed out this issue to Samsung but it has not been fixed. In addition, a modern LCD panel now has fast enough response time to make low frame rate video (such as 24fps movies) appear like it is stuttering. To minimize the effect you can activate Samsung’s ‘Auto Motion Plus’. If you opt to enable it, we recommend that you switch to user mode and adjust the Judder setting only (it affects video in 60fps and below). If you stay below 5, artefacts will be minimizes, and just like Q9, Q8 will stop interpolating video if objects move too fast. There is still some ground to cover before Samsung can match Sony’s motion system in the X900F (XF90) but overall motion handling is decent. It is also possible to activate black frame insertion (BFI), called ‘LED Clear Motion’, and it operates at a high enough frequency to be practical. However, be aware that it results in a significant drop in brightness, which will affect HDR performance. Like Auto Motion Plus, BFI can also be activated in the game mode without affecting input lag too much. 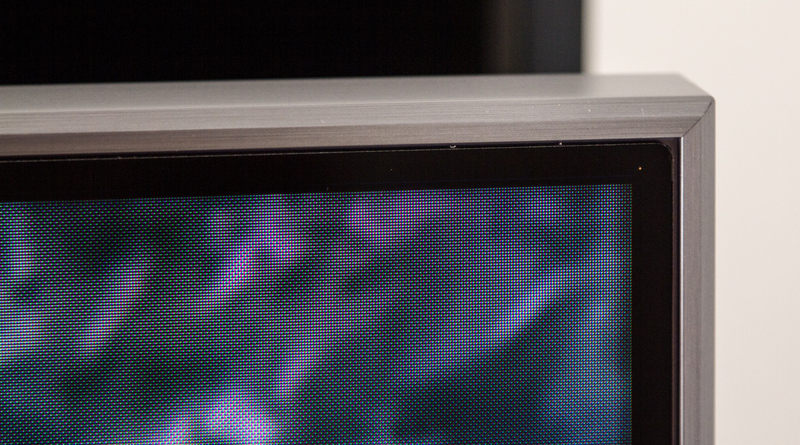 During our backlight homogeneity evaluation, we spotted some splotches of light that initially looked like random clouding spots but upon further examination we found out that these are actually caused by the anti-reflective coating so the spots will "follow you" when you move around and observe the TV from different angles. It is primarily visible in solid color areas in graphic interfaces. It was rarely visible while watching video content. We did not find significant any clouding or bleeding issues. 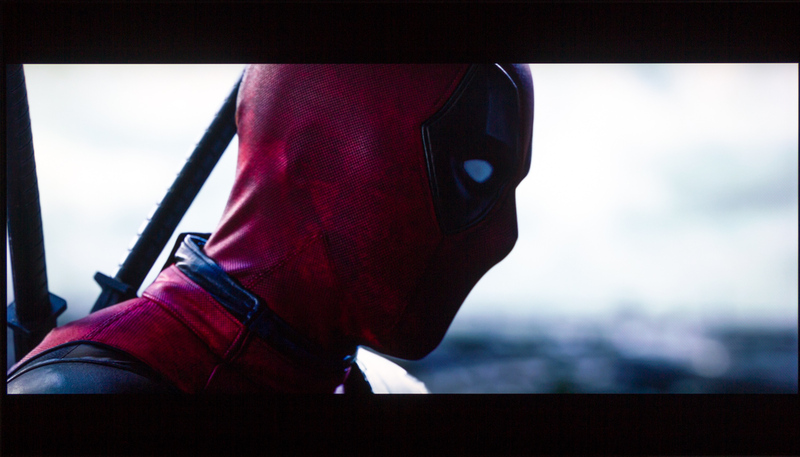 Most LCD TVs tend to suffer from some kind of backlight inhomogeneity but our sample of Q8 was exemplary. Of course, these things tend to vary from one sample to another but as mentioned earlier our sample still had a protective film on the front of the panel so we are fairly certain that it had not been pre-selected or pre-tuned prior to us receiving it. 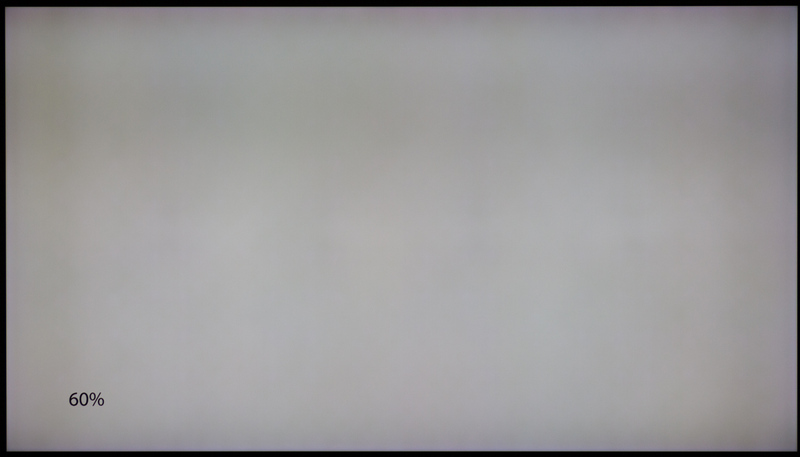 Q8’s LCD panel is capable of reproducing all steps of the grey tone scale but since it is impossible to fully deactivate dynamic backlight control, you will occasionally see instances of solid color areas being either dimmed or brightened, depending on what the algorithm decides to do in the specific scene. In some instances this can lead to shadow details being crushed or overexposed. In the IRE 60 photo below, you can see a dark horizontal line. This is caused by the scanning backlight system and is not visible in actual use. Traditionally, a narrow viewing angle has been the LCD technology’s Achilles heel, and the issue has only been further elevated in these times of HDR. 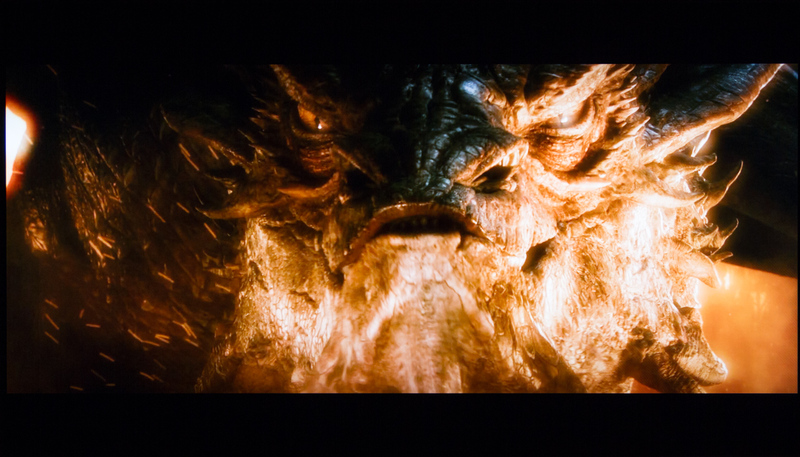 Because HDR video often forces LCD TVs to increase backlight intensity, off-axis black levels tend to suffer to an even larger degree. Samsung is using a VA-type LCD panel that are characterized by having good contrast but narrow viewing angles, and Q8 is no different in this regard. To enjoy picture quality, you must sit directly in front of the TV. Moving off-axis will result in inaccurate colors and poor blacks. Artefacts caused by the zone dimming system will also be clearly visible. If you want to avoid these problems you should consider an OLED TV. 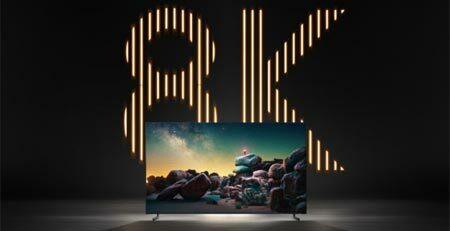 Theoretically, you could also consider an IPS-type LCD TV but it will have even worse black levels, and IPS LCD will be a very poor choice for HDR viewing. This year, Samsung was first to introduce HDMI VRR (variable refresh rate) and FreeSync in its TVs. Around the same time, Microsoft added support for adaptive refresh rate in its Xbox One X / S consoles. FreeSync is also supported in PCs with AMD graphics. Unfortunately, our equipment cannot (yet) measure input lag beyond 1080p60 but our competent colleagues over at Rtings have previously demonstrated that using adaptive refresh rate with Samsung’s TVs can bring input lag below 10 ms (at 120 Hz). In 1080p60 (without FreeSync), Q8 hits around 20 ms, which is still one of the lowest levels of input lag for any TV. Samsung Q8 is in other words a very capable gaming TV. It also automatically detects whenever a game console is connected after which it will switch to its Game mode so you can start gaming immediately without having to plough through the menus. As mentioned earlier, it is possible to activate both Auto Motion Plus and BFI in the game mode for smoother motion, without adding more than a few milliseconds of extra lag. This may be desirable if your game machine is incapable of hitting a stable 60fps frame output. Samsung continues to integrate SteamLink in its TVs, meaning that you can stream PC games to the TV screen over your home network. Samsung Q8FN (US) or Q8DN (Europe) is an interesting addition to Samsung’s TV line-up for 2018. It is more affordable than Q9FN but still offers a full array local dimming backlight, although a scaled-down version with fewer dimming zones compared to the flagship Q9FN. Q8 has around 40 dimming zones so it obviously has less accurate backlight control but if you have read our previous TV reviews, you know that we continue to argue that zone dimming is necessary if you want HDR on an LCD TV. Besides the less advanced zone dimming system, you lose the external One Connect box and the "no-gap" wall bracket solution compared to the flagship Q9FN. The former is a particularly interesting feature so we miss it on Q8. If you can live with those compromises you still get Samsung’s premium ‘One Remote’, very high peak brightness in HDR (and SDR, if that is something you want), and the Tizen operating system. In several areas, Q8 picture quality mirrors that of the flagship Q9FN. SDR performance in particular shows many strengths and it took only moderate tweaking to get accurate colors and grey scale tracking. We found that Q8 continues to produce too bright HDR images (like Q9) and it has fewer dimming zones, meaning less accurate backlight control. Samsung Q8 is an obvious alternative to Sony X900F (XF90). It has higher peak brightness and offers a more polished user interface but Sony’s TV offers better motion and sells at a more attractive price point. We awarded Q9FN our Highly Recommended Award, primarily because on its picture performance coupled with the innovative One Connect box. Q8 lacks the One Connect box and it is more expensive than Sony’s X900F, and as such it falls between two chairs. It is up to the individual buyer to decide what counts more. If you want a more polished and functional operating system, Samsung Q8 may appear to be the better choice. However, be aware that Samsung still refuses to issue software updates. From a value-for-money perspective, Samsung Q8 is too expensive right now but of course that may change later in its lifecycle. Change in test parameters: Starting this year we will make a change to a test parameter that relates to the features score, following years of poor practice in the TV industry. Unless a manufacturer of a given "Smart TV" can provide FlatpanelsHD with assurance that the TV platform will be updated to the next major version, the feature score will be lowered by 10 points. We hope that our initiative can help highlight the problem, start a discussion, and change the practice. Samsung has not been able to give us such a guarantee for Tizen.